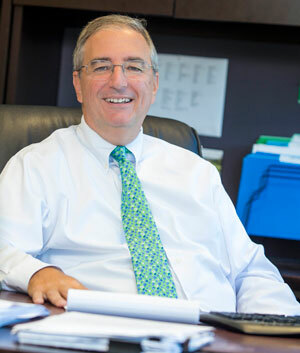 Guy Corricelli, Chief Financial Officer (CFO), has worked in the Accounting and Finance arena of Affordable Housing for more than 30 years and has been a valued employee of Peabody Properties since 1997 and was recently promoted to his current position within the organization in 2013. Guy and his accounting team of 27 staff members, are responsible for all the financial aspects of each of the properties under the PPI management and development umbrella, as well as the oversight of all corporate treasury matters and the long-term strategic financial plan of PPI. He maintains his relationship with our clients, as a trusted resource for guidance and has consulted in the identification and procurement of lenders and programs to favorable structuring, restructuring or the financing or the refinancing of debt to meet the needs of the properties, their owners and investors. Additionally, he oversees the annual budget process and financial reporting with Investors, Lenders and Regulatory Agencies. He is currently a Vice President of the Builders and Remodelers Association of Greater Boston. Prior to his tenure with PPI, he was an audit manager at a nationally recognized Certified Public Accounting firm specializing in affordable housing and real estate syndications. Loves cooking, especially mom’s secret recipes – enjoys a relaxing day on the kayak and, the good company of family and friends.